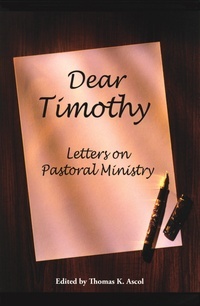 As Paul imparted his wisdom to Timothy through letters, this collection of writings from seasoned pastors contains over 480 years of combined ministry experience. Old and new pastors alike will treasure this compilation of heartfelt advice and nuggets of truth that will guide them through the challenges and joys of their calling in Christ. Contributors include Joel Beeke, Ligon Duncan, Mark Dever, Tedd Tripp, C. J. Mahaney, Roger Ellsworth, and others.